Pastor Warren Anthony Butler was a man of a strong spiritual constitution and even a stronger faith in God. He had smiles for every joy, tears for every sorrow, consolations for every grief, faith for every misfortunate and encouragement for every hope. He ran a faithful race for Christ. 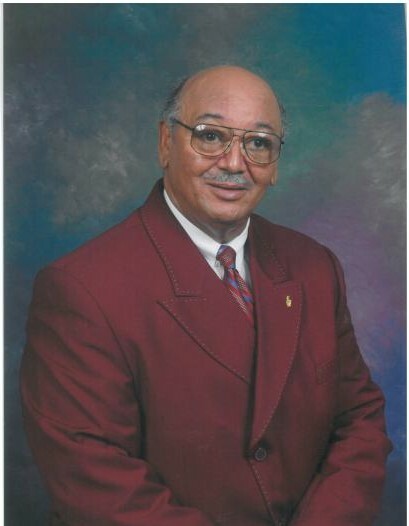 With a continuous smile looking toward heaven, Pastor Butler peacefully departed his physical life on Friday, March 15, 2019 at 11:00 a.m. and hereby was rewarded his crown of righteousness. Homegoing services will be held Saturday, March 23, 2019 at noon in the chapel of Howell Funeral Home & Crematory in Goldsboro. Interment will follow at Spruill Family Cemetery in Pikeville. A visitation will be held Saturday, March 23, 2019 from 11 until 11:45 a.m. at the funeral home. Pastor Butler was born on June 10, 1947 in Washington, DC to the late George G. and Edna Louise Butler and was educated in the city schools. Later moving to North Carolina, where he gave his life to the Lord in March 1996, he joined Deeper Life Church Ministries. As a faithful member, he served on the Hospital Ministry, the Outreach Ministry and as a Bible Study and Sunday School teacher. He was ordained as an Elder in April 2006 and called to Pastorate in November 2007. He, along with his wife, became Founders of True Word Church Ministries. On June 19, 1999, he was united in Holy Matrimony to Shirley H. Smith. He leaves to cherished precious memories, his loving wife, Elect Lady Shirley Butler; two daughters, Sabrina Butler Caldwell of Charlotte and Katrina Butler McMillian of Raleigh; four grandchildren, Keron Butler of Raleigh, Terrence Caldwell II, Tiara Caldwell both of Charlotte and Donte Robinson of Raleigh; three brothers, Bernard Butler of Hyattsville, Maryland, Cornell Butler of Springfield, Virginia and Clifton Butler of Seattle, Washington; five sisters, Catherine Hill of Annapolis, Maryland, Ann Marie Brown of Bowie, Maryland, Cecelia Williams of Temple Hills, Maryland, Mary Savoy of Aquasco, Maryland and Veronica Edmonds of Hampton, Virginia; two special sons, Elder Dennis Peele and James Godwin and a host of nieces, nephews, other relatives and friends. He was preceded in death by one sister, Helen Procter and one brother, George Butler. Professional services have been entrusted to the care of Howell Funeral Home & Crematory in Goldsboro.